National Young Farmers Coalition | Why would my small farm need a produce safety training? 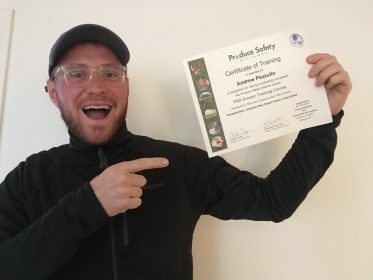 Why would my small farm need a produce safety training? In 2011, a law called the Food Safety Modernization Act (FSMA) gave the Food and Drug Administration (FDA) the responsibility to regulate how food safety is managed on farms and in facilities that process food. At NYFC, we’re part of an alliance managed by the National Farmers Union called the Local Food Safety Collaborate that aims to give smaller producers who market locally a source for education and training on FSMA. NYFC is planning workshops across the South on the Produce Safety Rule and is writing a guidebook on these food safety regulations. Along the way, we’re talking with farmers to assess what tools, trainings, materials, or guidance will be most helpful for small, young, diversified growers to learn and com ply with these new regulations. We understand that many young farmers, ranchers, and food producers will be “qualified exempt” from this rule, meaning that they won’t have to follow ALL of the parts of the law due to size and marketing strategy. Here’s a flowchart to help farms understand exemptions from the Produce Safety Rule. Here’s a link to understand Preventive Controls rule exemptions for facilities that manufacture, process, store, or pack food. We also want to be sure that even exempt growers understand the rules, what parts of the rules will still be important, and, ultimately, how to make their produce or food as safe as possible. Your farm might expand. Perhaps you’re exempt now, but might not be as your business grows and evolves. Knowing these food safety rules will allow you to made infrastructure improvements that will comply with the rule as your business grows. Learn how to make your food safer. All farms can be safer and cleaner. Some of these rules are onerous, but some of them seem practical. With a few tweaks, you could implement changes that make your produce safer. These changes could potentially increase the storage life of your crops, as taking steps to decrease bacteria can make it last longer and look better. Exempt from the law, but not the marketplace. You might be qualified exempt from the rule as per the FDA. Yet, your buyers might begin to require compliance. When GAPs were introduced, even some farmers markets began to encourage associated farmers to become GAPs certified. We may see wholesale buyers, restaurants, or insurance companies begin to push otherwise exempt farmers toward compliance of the Produce Safety Rule. Learn in an environment of your peers. Large produce growers are learning this same curriculum, but we hope that the conversation occurring between small, diversified growers will be helpful to beginning farmers. Also, the NYFC workshops are taught by farmers. It’s affordable. We’re heavily subsidizing this workshop so that growers like you can ease into compliance and learn how to make their food safer and businesses stronger. The rules of FDA say that you only have to complete this course once a lifetime, so you could save money by taking it now. Learn more about the rule. Maybe you’ll be “qualified exempt.” You’ll still need to keep some records to prove the exemption. Additionally, you might be curious about how the rule works and why growers are so worked up. Come and learn the ins-and-outs of the rule so that you can be informed about these regulations that could greatly impact the agricultural community. Give your feedback. We need to understand how and where this rule impacts farms most. NYFC can also advocate to changes in the rule or the curriculum if we know what challenges you find. We can only get that feedback from farmers who have attended the training and understand the rule. 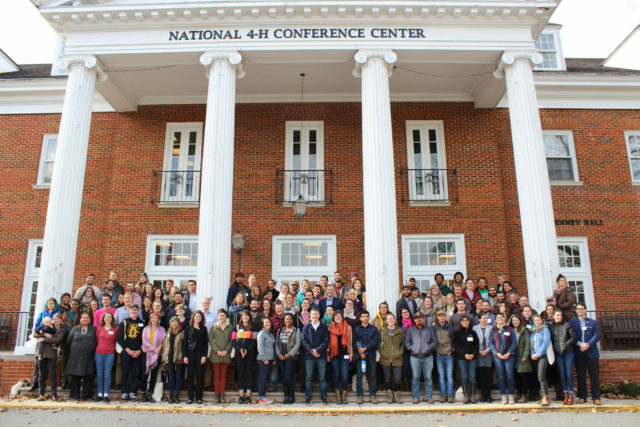 Currently, we’re planning our workshops in the South and Southeast with our chapters in Missouri, Middle Georgia, and the West Virginia/Virginia Tri-State area. We’re hoping to plan many more. Our partners in the Local Food Safety Collaborate have other workshops planned around the country. Contact us if you want to host a food safety workshop or have feedback on this project!